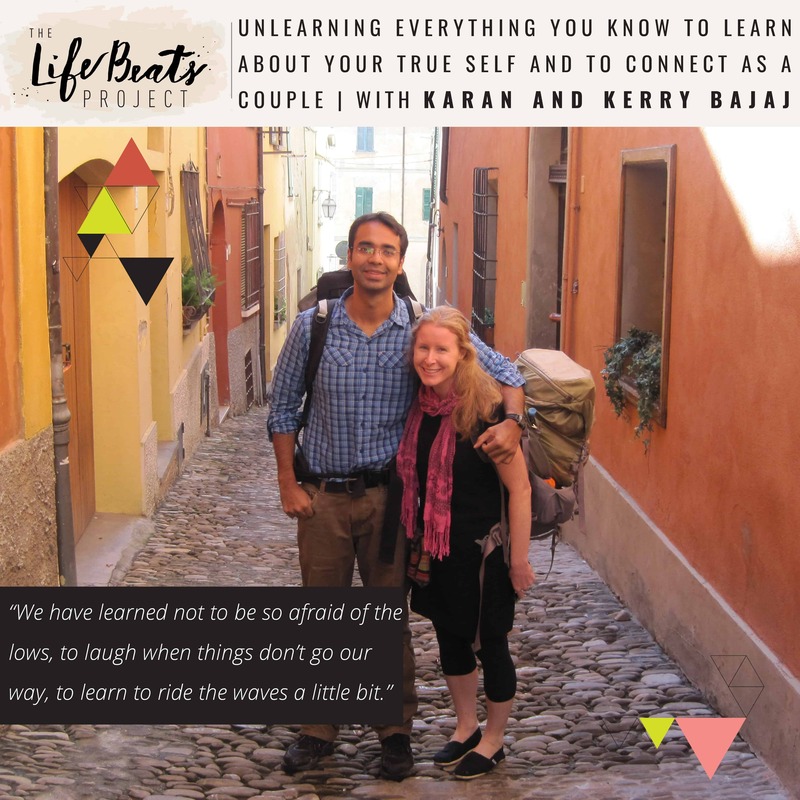 Friends, today I have the honor to introduce you to one of the most enlightened pair of people I have met, Karan and Kerry Bajaj. Karan is the number one best selling Indian novelist with his latest book being “The Yoga of Max’s Discontent” based upon his own experiences he will share with us today of having an emotional urgency after his mother’s death from cancer to unpeel the layers of what it meant to be human, to unlearn everything he had known and to be spontaneous while spending a one year sabbatical from his executive New York City job to traveling from Europe to India with his wife Kerry, health coach and mentor in functional medicine, traveling with no possessions, just a backpack and no timeline or stress of goals, just a few anchor events, including studying yoga and meditation in Karan’s birthplace in the Himalayas of India and to practice willful poverty. They communicate the intention of such a unstructured journey and the realizations they experienced a long the way, including the benefits of emotional and physical hardship on a couple. They share how they have implemented their experiences into their life upon returning home, including how to slow down from consumption to evaluate and discuss what you are learning as well as being more in tune with each other when their relationship begins to become off balance. Karan share some refreshing insights on parenting and how to not let your dreams die after having children and Kerry shares how she had a much smoother recovery after having her second baby which led to her addressing it as the fourth trimester. You will look at life with new eyes after listening to the insights of this incredible couple. Want to know if this episode it for you? This episode is perfect for someone who is looking for some peace in the busyness of life, for someone who may have an emotional urgency to step outside of their normal life to understand who their true self is, for someone looking for a way to connect as a couple, for someone who does not want to give up on their dreams after having kids. It is wonderful for someone wanting to understand the benefits of silence, meditation, and sabbaticals.